Ōhia (Metrosideros polymorpha), the most abundant native tree in the state of Hawaii, are dying from a new fungal disease. On Hawaii Island, hundreds of thousands of ōhia have already died from this fungus, called Ceratocystis. Healthy trees appear to die within a few days to a few weeks, which is how the disease came to be called “Rapid Ōhia Death.” This disease has killed trees in all districts of Hawaii Island and has the potential to kill ōhia trees statewide. 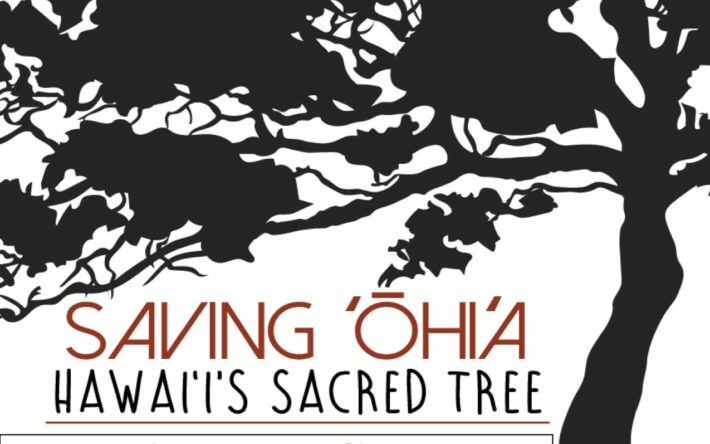 Please join us as KCC and the National Tropical Botanical Gardens present this special film screening of Saving Ohia – 5:30pm, December 11th, at KCC in the cafeteria (behind the Performing Arts Center).